Before you comment, imagine the following. You are seated in a comfortable chair at a table with all of the other commentators. You have gathered to discuss an issue of mutual concern, and you are aiming to learn something from the conversation. Take off your shoes if you’d like. Wriggle your toes. Appreciate the wonders of everyday life in the twenty-first century. On the table in front of you is your favorite beverage. Through the window is your favorite view. And seated next to you is a child, who you brought with you for a lesson on how to discuss controversial issues with strangers. Are you imagining all of that? Okay, now you may be in the right mindset to comment. But please read the rest of this before you do. 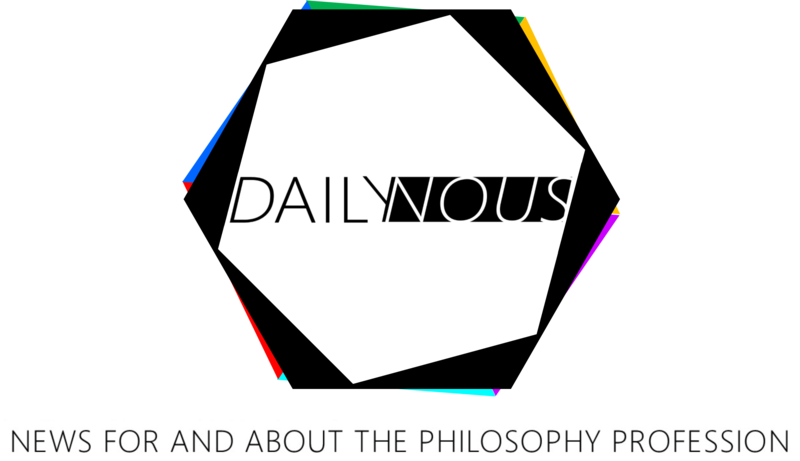 Daily Nous is an online space for philosophers, academics, students, and other interested parties to discuss news and issues related to philosophy and the philosophy profession. People disagree about these things, and the discussions can get heated at times. Those participating should be able to distinguish between criticisms of ideas and arguments, on the one hand, and personally insulting rhetoric, on the other. Sometimes the latter can be disguised in the words used for the former, so please choose your words carefully. If you’re making a criticism, please do it kindly. And if your ideas and arguments are on the receiving end of criticism, please don’t take it personally. More generally, let’s aim for more thoughtfulness and less obnoxiousness. Humor and lightheartedness are welcome. Just don’t act like a jerk. Comments are entered in a text box beneath the post, below any existing comments. The first time you comment at Daily Nous, you will need to login via one of these four widely used social media services: WordPress, Google +, Twitter, or Facebook. You do that by clicking on the associated icon at the top right of the comment box. Once you are logged in, when you submit a comment, it will be immediately visible to other readers. The page does not need to be refreshed for new comments to appear. This way conversations on Daily Nous can be more like, well, conversations. First, those commenting this way must submit a working and accurate email address. If I suspect your email address is fake, I may choose not to publish your comment (you can email me if you think I have made a mistake about your email address). Second, the name you use in the comments should be consistent throughout your commenting here. If you attempt to use multiple nicknames or handles (i.e., if you engage in “sockpuppeting”) you will be banned from the site. Further, while you are not required to use your real name or a variant as a handle here (though I encourage you to do so), no handles or email addresses may contain the word “Anonymous” or “Anon” or the like. Pick a name and stick with it. Sometimes comments do not appear immediately, and this could be because for some reason it got caught by the system’s spam filter or sent into the moderating queue. Feel free to send an email inquiring about a comment if it hasn’t shown up after a while. Once your comment is posted, it will be visible for others to read, to reply to, and to “like” (returning soon). The reply function should nest your comment below the one to which you are replying. The reply button appears on the bottom left of a comment (you may need to mouse over the comment text for the button to appear). The commenting system also allows you to read and reply to comments via email. You can receive emails when new comments are made on a post and use the “reply” function in your email application to comment. The email you receive will reproduce the latest comment, provide a few lines of the original post, and, if available, show you a few other recent comments. If you reply to the email, the content of your reply will appear as a comment on Daily Nous. It is also possible to “report” a comment if you think it is in violation of the comments policy. To do this, click on the “report” button at the bottom right of the comment. If a sufficient number of people report a comment, it gets removed from the site and sent to the moderating queue for me to look at. If you see a comment you think doesn’t fit with the comments policy here, report it. However, please do not use the report function to mark mere disagreement with a comment. Since the readership is now charged with comment moderation, I will not be pre-moderating comments. However, if I spot a comment that should be removed, I will remove it. Please note: the publication of a comment on Daily Nous does not imply that the content of the comment is endorsed by me or anyone else associated with Daily Nous. If you believe there is a problem with the functioning of the commenting system, or have questions about it please email me.